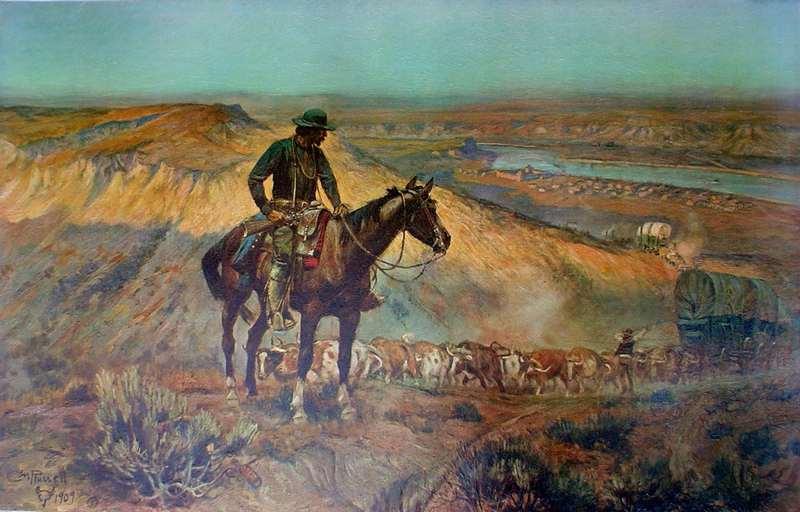 This fine art print of The Wagon Boss was reproduced using the collotype process. A protective clear brushwork finish has been hand-painted over the entire image, giving it the appearance of being an oil painting. It is mounted on canvas and is ready to be stretched and hung for viewing.